Every writer needs honest, constructive feedback in order to grow in their craft. 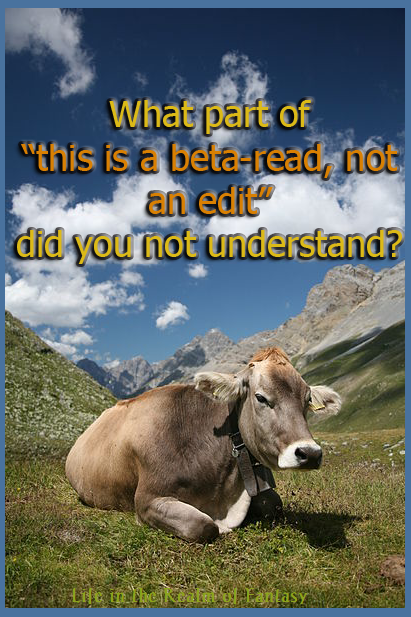 Many will join critique or beta reading groups. These groups come in all sorts and sizes, some specializing in general fiction and some in genres like mystery, science fiction, fantasy, or romance. Most communities have clusters of authors—after all, nowadays everyone either is an author or has a couple in the family . In your community you will find groups for beginners, or some that cater to more advanced crowds. I guarantee there will be one to fit your needs. We’ve all heard the horror stories regarding critique groups, and perhaps even experienced one. Making a poor choice in writing groups can be devastating—it can undermine a budding author’s confidence and destroy a person’s joy in the craft. The seas are rough out there but many writing groups are really good, supportive gatherings of authors who stay for years and welcome new authors into their group with open arms. Other groups can be cliquish, unwelcoming, and daunting to new arrivals. 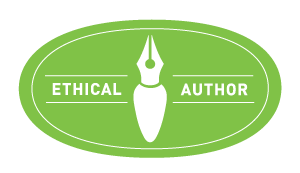 Authors just beginning to explore this necessary part of the craft will not come back to one of these groups if they were given the cold-shoulder the first time. Do they treat the submitted work with respect, or do they nitpick it to shreds? Do they allow discussion of a critiqued work or is the author supposed to sit there and silently take the punishment? If the latter is the case, that group is engaged in a subtle form of hazing, more than in critiquing. Thank them for allowing you to sit in, and walk away from them. There is a difference in types of writing groups, too. Some are traditional critique groups, people who usually read a few pages aloud at their sessions and discuss it in detail in a round-table fashion. This sort of focus can be just right for some authors, especially those in the final stages of making their manuscript submission-ready. Because traditional critique groups focus only on 3 or 4 pages at a time, they lack the context to be able to discern if your protagonist has developed sufficiently along his character arc by the first 1/4 of the tale. However, they can tell you if you have made editing errors, and discuss small points of technique within those few pages, which you can then apply to the overall manuscript. This is an important aspect of the process, but is not always the kind of input an author is seeking. The one flaw these sorts of groups have is they don’t have the ability to properly critique the larger picture—pacing, overall story arc, worldbuilding, character development, and on, and on–because these things can only be judged in larger context. So if, like me, that is the sort of input you are looking for, my advice is to find a beta reading group. 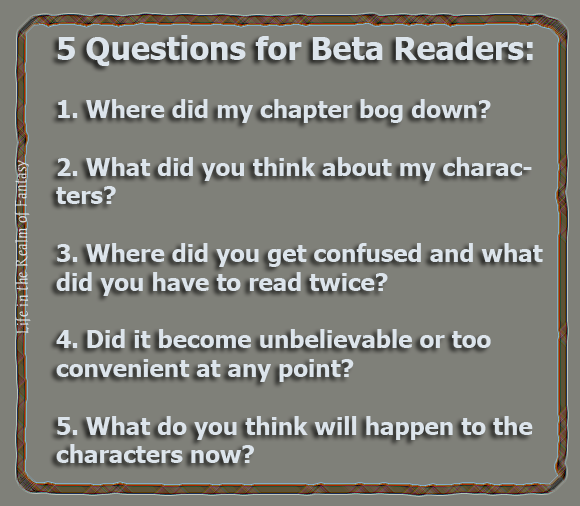 Critique groups cannot do what beta readers can. But how do you select a group? Before you join a writing group, you have the right to know what that group focuses on. Where did my chapter bog down? What did they think about my characters? Where did they get confused and what did they have to read twice? Did it become unbelievable or too convenient at any point? What do they think will happen to the characters now? If the answer is anything other than a resounding “yes,” run now. Run far, far away. There are common negatives to watch out for in all writing groups: If you have stumbled into a group where the most visible member is a self-important, read-all-the-books-on-writing-so-I-know-it-all kind of a person, don’t bother joining or you’ll be subjected to many accounts of how their writing group in Minnesota was so much better than this pathetic group. Another author you might watch out for is the ubiquitous Famous-Author-Name-Dropper, a person who must be important because she has been to a great many seminars and conventions with these famous people, and hung out in the bar with one of them once. If it turns out she is in your prospective group, it may not be the group you are looking for. Sometimes they are the same person, sometime not, but either one of these wannabe-famous authors are poison—in their eyes the group only exists to admire them, and they will casually cut your work to shreds, dismissing it as merely amateur in the face of their “professional” experience. If the group is a beta reading group focused on first drafts, what do they consider a first draft? Do you have to hire an editor and have it thoroughly edited before you submit it to this group? I say this because a fully edited manuscript is not a first draft, and that group would be a waste of your time. Will you receive insights into your manuscript on points you hadn’t considered, or will the focus of the discussion centered on minor editing issues that you are already aware of? Do I still feel positive about my work or do I feel like my work was treated as being less than important? Did I gain anything from the experience that would advance the plot or did I just hear a rehash of arm-chair editing from a wannabe guru? The answers to these questions have to be that you feel good about your work, that you saw through their eyes the weaknesses, and that they can be fixed. New authors join writing groups feeling a great deal of trepidation, filled with uncertainty and fear. They fear being belittled and told their work is crap, and sometimes that happens. At the end of the day, you have to feel as if you have gained something from the experience. Hopefully you will be as fortunate as I have been, and find a group of beta readers you can mesh with, people who will support and nurture you in the same way that you will them. There is a difference in types of writing groups, too. Some are traditional critique groups, people who usually read a few pages aloud at their sessions and discuss it in detail in a round-table fashion. 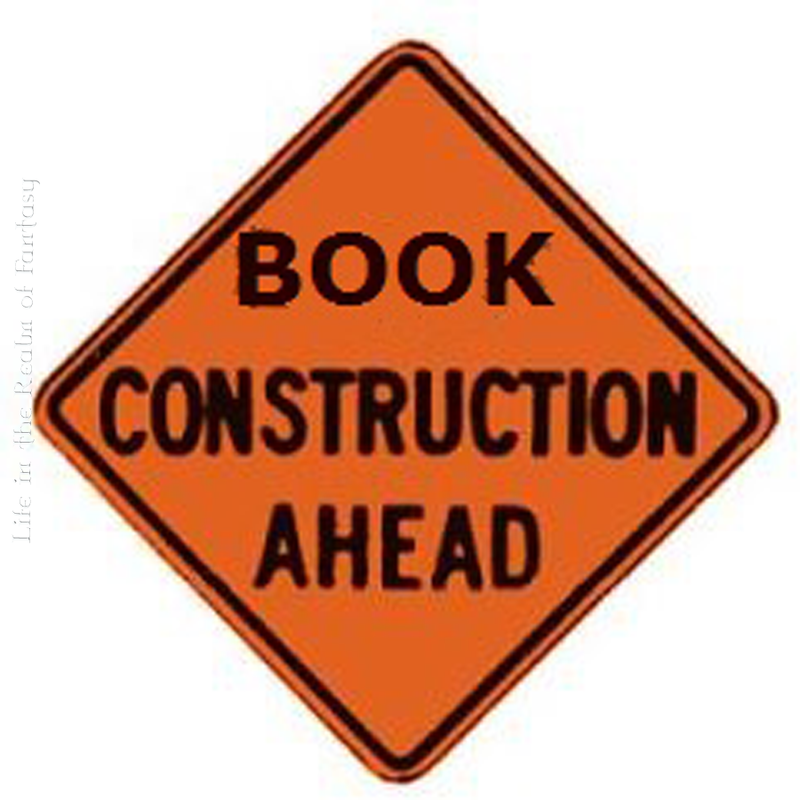 This sort of focus can be just right for some authors. Because traditional critique groups focus only on 3 or 4 pages at a time, they lack the context to be able to discern if your protagonist has developed sufficiently along his character arc by the first 1/4 of the tale. However, they can tell you if you have made editing errors, and discuss small points of technique within those few pages. Frankly, I am not interested in this kind of group. These sorts of groups don’t have the ability to properly critique the larger picture—pacing, overall story arc, worldbuilding, character development, and on, and on–because these things can only be judged in larger context. So if, like me, that is the sort of input you are looking for, my advice is to find a beta reading group. If not, run now. Run far, far away. 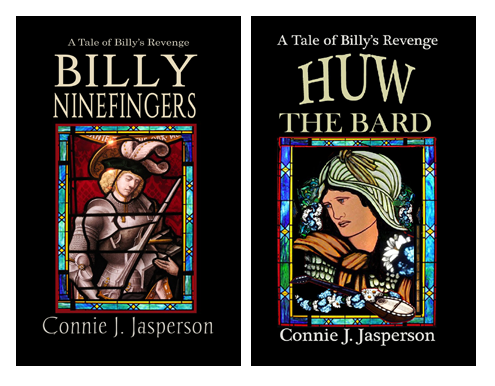 Another author you might watch out for is the ubiquitous Famous-Author-Name-Dropper, a person who must be important because she has been to a great many seminars and conventions with these famous people, and hung out in the bar with one of them once. If it turns out she is in your prospective group, it may not be the group you are looking for. Sometimes they are the same person, sometime not, but either one of these wannabe-famous authors are poison—in their eyes the group only exists to admire them, and they will causally cut your work to shreds, dismissing it as merely amateur in the face of their “professional” experience. If the group is a beta reading group focused on first drafts, what do they consider a first draft? Do you have to hire an editor and have it thoroughly edited before you submit it to this group? Because that is not a first draft, and that group would be a waste of your time. Ask the leader to define for you the specific areas that readers will be looking at: Character development, pacing the arc of the scene, pacing the arc of the conversation, worldbuilding. Do I feel positive about my work or do I feel like my work was treated as being less than important? If the strengths and weaknesses of the characters, and the overall arc of the chapter were overlooked in the face of fixable editing errors then you did not get the insight into the particular trouble-spot that you were looking for. Ask yourself this: “When I was discussing the direction I wanted to take the tale in, did I sense that they were interested in my story?” If the answer is anything other than a resounding “yes” you have the right to leave the group.